Universal Moulders & Engineers, Kolkata is a specialist in manufacturing of various Dam Gates Rubber Seals since 50 years.We supply a wide range of shapes, sizes and various types / designs of Rubber Seals for Hydro and power generation industries which consists of Radial Gates, Stop Log Gates, Emergency Gates, Sluice Gates, Vertical Lift Gates, Spill Way Gates, Draft Tubes Gates, Automatic Tilting Gates, Desilting Service Gates, Spill Way Gates, HR Gates, Swing Gates, Bulk Head Gates etc. Being perfectly shaped and swift movement of our organization, we are instrumental in offering Musical Note Seals. Known for its flexibility and efficient sealing, these musical note seals are examined by our quality experts on various provisions of quality in order to deliver flawless range. The offered musical note seals are manufactured using finest quality rubber compounds in compliance with international quality standards. 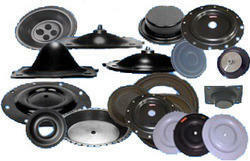 We are eminent manufacturer, supplier and exporter of best quality PTFE & Teflon Cladded Seal. These seals are cladded with low friction material such as PTFE (Teflon). We use chemically treated PTFE strips to mould with rubber so as to get highest adhesion strength between Rubber and PTFE. PTFE cladded seals show advantage of cost, flexibility and durability over metal cladded seals. 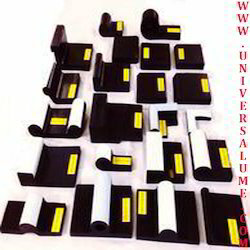 Universal Moulders & Engineers, Kolkata is a specialist in manufacturing of various Dam Gates Rubber Seals since 50 years.We supply a wide range of shapes, sizes and various types / designs of Rubber Seals for Hydro and power generation industries which consists of Radial Gates, Stop Log Gates, Sluice Gates, Vertical Lift Gates, Spill Way Gates, Draft Tubes Gates, Automatic Tilting Gates, Desilting Service Gates, Spill Way Gates, HR Gates, Swing Gates, Bulk Head Gates etc. Looking for Dam Gate Rubber Seal ?